A very well done web site with information on most Russian production cameras and more. A very extensive and informative web site about FSU cameras with histories and repair manuals. As well as For Sale section. Maintained by Mike Haley. Use, Maintenance, Calibration and Repair of Zorki and FED cameras. With instructions on Focus and Rangefinder Calibration, Shutter Repair and Replacement. Lots of cameras covered including some of the Russian/Soviet ones. by Russ Pinchbeck. Everything from use to repair of Kiev cameras(Contax copies) and lenses . A collection of materials and technical data on prototypes and rare home-made cameras as well as a lot of information about Soviet photographic equipment. 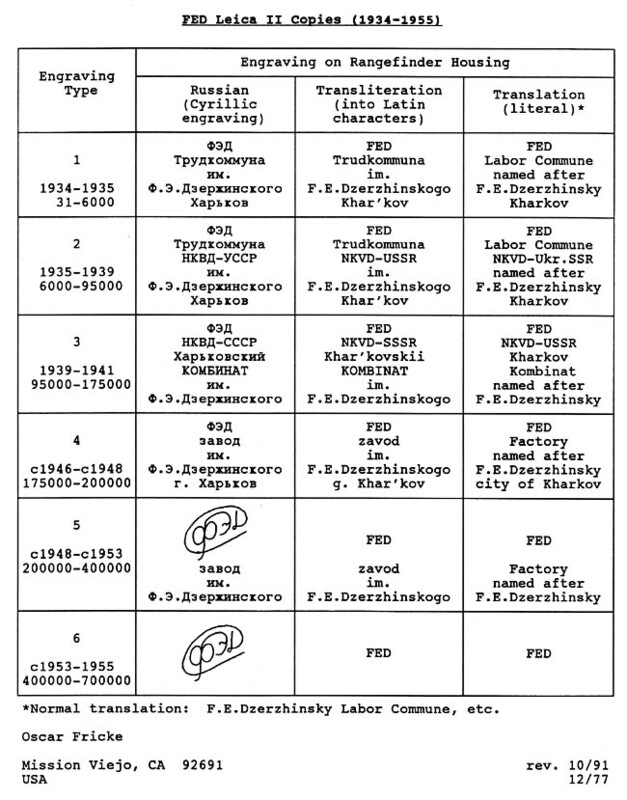 A large collection of downloadable content such as books, manuals and magazines for Soviet cameras. In depth guides to Russian/Soviet cameras, a wealth of information. A large resource for Vintage Camera collectors. Encompasses all types of cameras including Soviet/Russian. Incredibly detailed resource for Soviet Rangefinder cameras like FED, Zorki, Kiev, etc..